Click on any picture to visit: The Life of Bhogar in Pictures. Bhogar was a South Indian by birth, belonging to the caste of goldsmiths, who became a siddha purusha under the guidance of Kalangināthar. 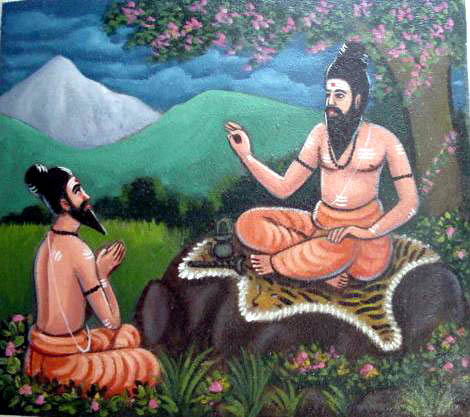 In Bhogar's Saptakanda he reveals details ofvarious medicinal preparations to his disciple Pullippani (so named ashe is believed to have wandered in the forests atop a puli or tiger)and at every stage he quotes his guru as the authority. Also Pulippani must have been a young man then, as he is often referred to as abalaka. It is said that as per the last wishes of his guru, Bhogarproceeded to China to spread the knowledge of siddha sciencesand strangely enough his journey is said to have been made with theaid of an aircraft; he demonstrated to the Chinese the details of theconstruction of the aircraft and later built for them a sea-goingcraft using a steam engine. The details of these and other experi-ments demonstrated by Bhogar in China are clearly documented in theSaptakanda. 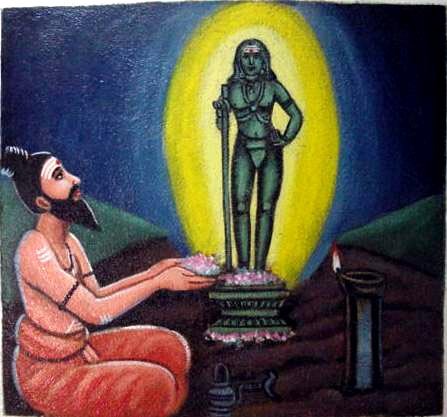 Bogar's guru, Kālāngi Nāthar, is believed to be a Chinese whoattained siddhi in South India and thus became included among the Eighteen Siddhars. Lao Tse - the founder of Taoism (5th century B.C.) was the firstChinese to propound the theory of duality of matter -- the male Yang andfemale Yin -- which conforms to the Siddha concept of Shiva -Shakti or positive-negative forces. This very same concept wasfirst revealed by the adi-siddhar Agasthya Rishi, whose period isas old as the Vedas, which have been conservatively dated at3500 B.C. Also alchemy as a science was practised in China onlyafter B.C. 135 and was practiced as an art until B.C.  175 when a royaldecree was enacted banning alchemical preparation of preciousmetals by the Celestial Empire; these details are recounted in the twoexisting Chinese books of alchemy Shih Chi and Treatise ofElixir Refined in Nine Couldrons, both dated to the first century B.C. The emergence of Lao Tse with his theory of duality of matter and thejourney of Bhogar to China seem to have taken place about the sametime and it is even possible that Bhogar himself went under the name ofLao Tse in China, like another Siddharishi Sriramadevar, who wasknown as Yacob in Arabia. the duality of matter andalchemy have been mentioned in South Indian scriptures thatantidate Lao Tse by centuries. The shrine at the top of the hill, though later than theTiru Avinankudi temple, has overshadowed the older temple in thepresent century due to its popular appeal. Created by Bhogar, it wasmaintained after him by sage Pulippani and his descendants almostas their personal and private temple. 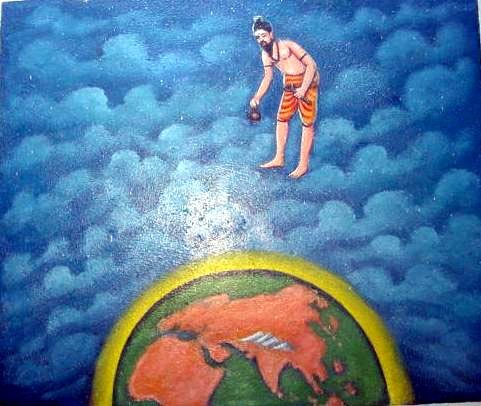 Right to shoot off, at the Dasara Festival, the arrow whichsymbolises Subramanya's victory over asuras. Right to be buried at the foot of the steps leading to thehill, if some of them so chose.